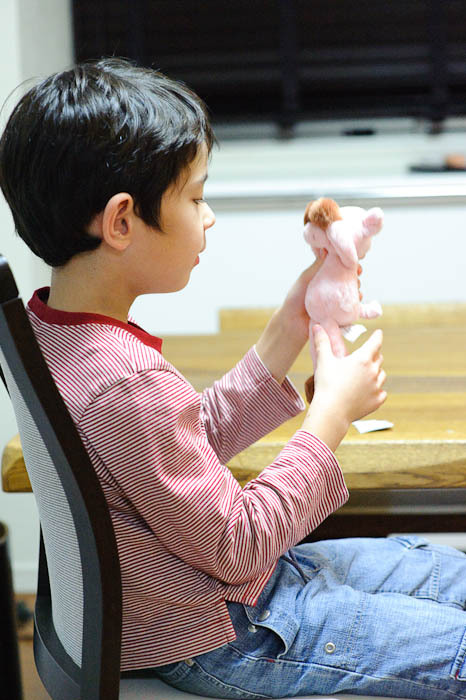 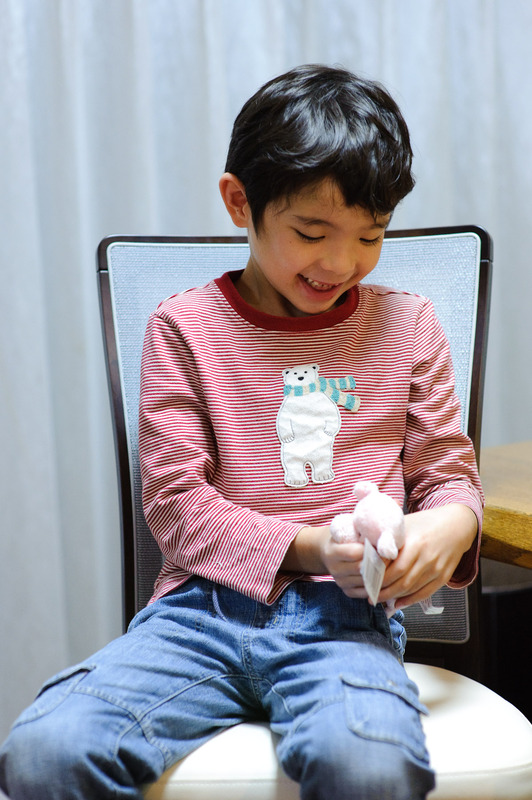 Jeffrey Friedl's Blog » Anthony’s New Plush-Toy Friend: Welcome Buta-chan! 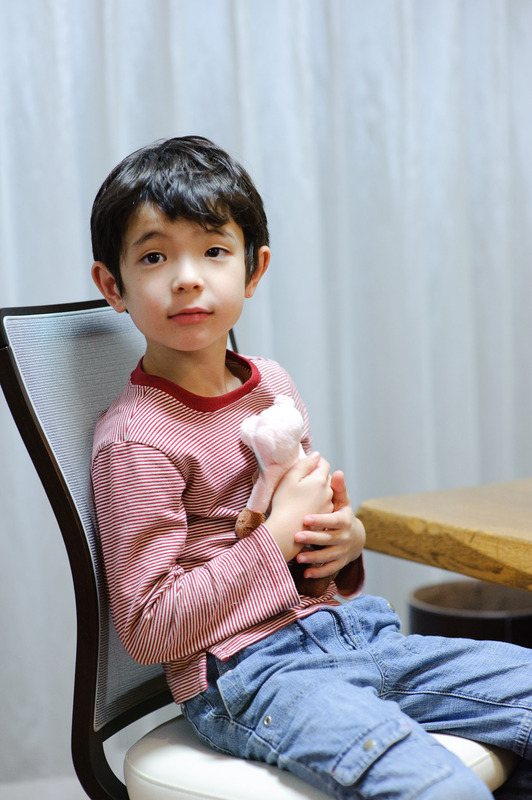 Anthony’s New Plush-Toy Friend: Welcome Buta-chan! 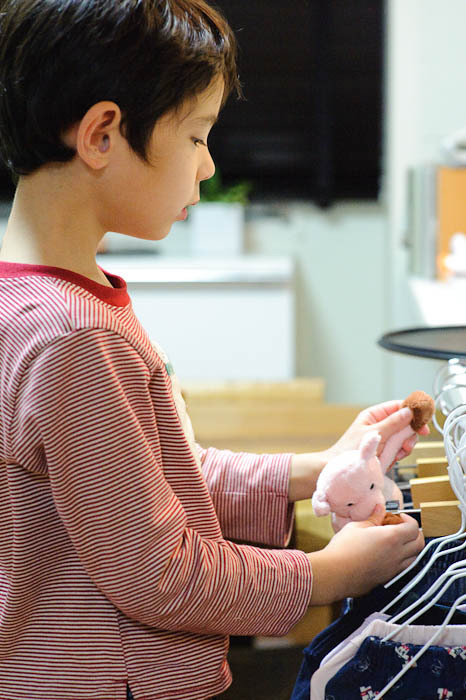 Anthony got a new cousin today, but last week got a new member of his own little family, a stuffed plush pig he's named Buta-chan (ぶたちゃん, which essentially means “Little Piggy” in Japanese). He's a gift from one of Fumie's ballet friends, Aoyama-san, who has never met Anthony, but sort of fell in love with him via my blog. 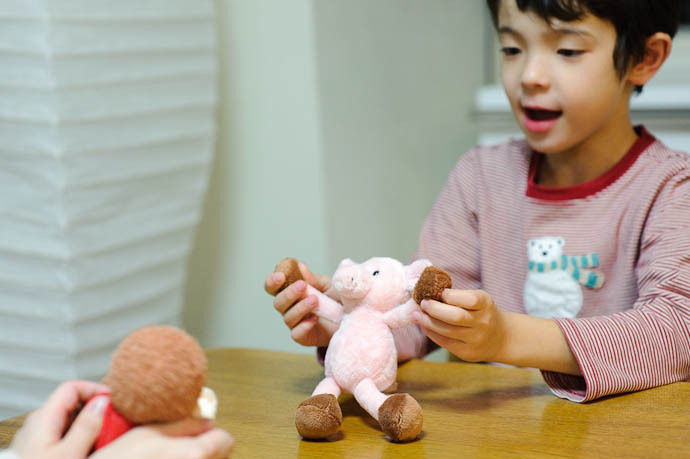 George and Buta-chan became fast friends, so I may need to get another plush-toy passport. As I write this, Anthony, George, and Buta-chan are all sleeping together. 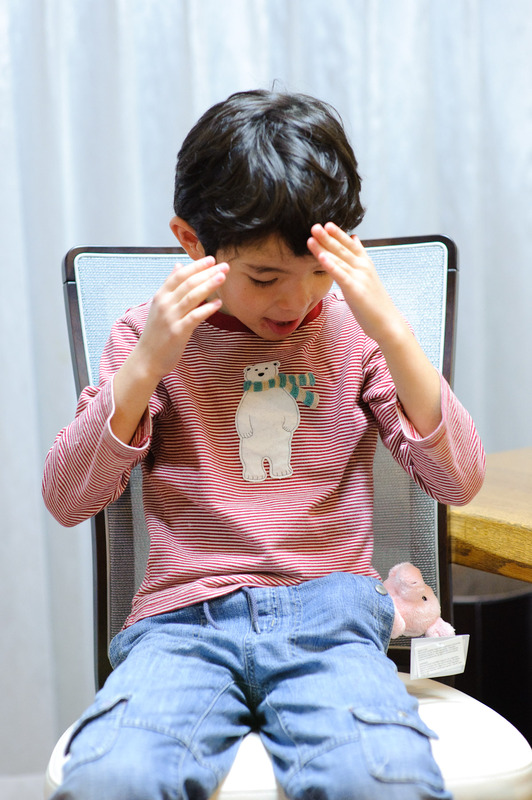 Anthony learns one new kanji (“Chinese character”) a day in school, and it just so happened that today's was “青” (blue / spring green), the “Ao” of Buta-chan's benefactor, Aoyama-san. He's already had the character for “yama” (山, mountain), so on his practice paper earlier this evening, he could use her name as an example word (青山さん), which he did and thought was cool.